In 2002, he committed himself to the software testing field of expertise. Today he is a QA and IT Specialist, member of the Hungarian Testing Board, Certified Tester (ISTQB). 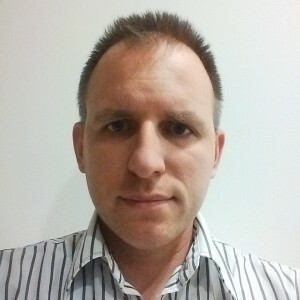 He is peer-reviewer of the „Szoftvertesztelés Alapjai” book, he publishes in written media and he is frequently invited as presenter to conferences in his field of expertise. In the past he worked for companies like Nav’N Go, Volksbank, Exxonmobil, Lufthansa, Nuance-Scansoft and Encorus Technology as well. He held Test manager and IT Ops manager role for the hungarian leading real estate advertising company. He was responsible for building the competent and effective SQA and IT Ops teams from scratch during his past three assignments. At the moment he works as Test Manager and IT consultant. What does Agile Testing mean? How to participate in agile development teams when being a test analyst? What kind of testing tasks should testers perform when being member of an Agile Team? What kind of testing tasks should testers perform when being member of a Test Team? How to test in a continuous delivery process? What tests and when to run them? How to create test specifications? How to form an efficient team from individual agile testers? How to build an efficient team? How to lead efficiently the team? How to achieve good overall team performance? How to reorganize the team?